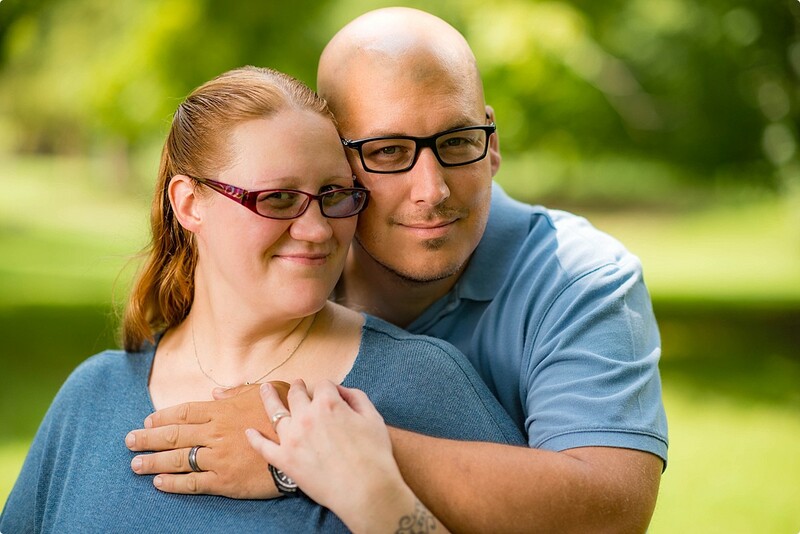 You may remember this fantastic couple from their Peddler’s Village engagement session (click HERE for that). Jenn and Matt held their rustic wedding ceremony and reception at the beautiful refurbished barn at The Loft at Sweet Water Country Club in Pennsburg, PA. It was such a quaint little venue, and perfect for our couple! Jenn and Matt are such great people and we had a lot of fun with them and all of their fabulous family and friends. They were blessed with such a gorgeous day! The weather could not have been any better. Although, it was such a bright and sunny day that a few more clouds in the sky would’ve been nice. They chose a rustic theme for their big day and I loved all of the little sunflower and horseshoe details she incorporated. The DIY signs that Jenn had for their ceremony as well as their reception were so cute and unique… I was very impressed with her creativity! Jenn had also chosen to do a ‘first look’ with her daughter Felicia. It was such a sweet and special moment for the both of them. Thank you Jenn and Matt for letting us be a part of your special day! We had such an awesome time with all of your family and friends! You guys are amazing and CONGRATS again!! !